Westword Music Showcase 2013 Nominee! iZCALLi has been nominated for the “World” Music Category in this years edition of the Westword Music Showcase. We are honored to be nominated for the second year running and hope to take the tittle home this year. 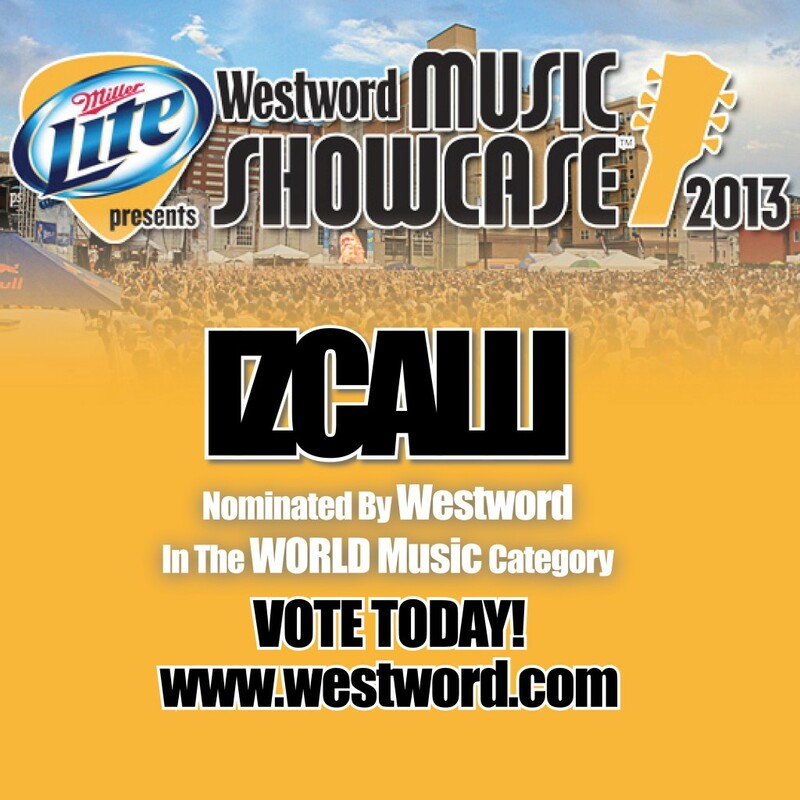 Vote for iZCALLi and all your favorite local bands using the online The 2013 Westword Music Showcase Ballot! Previous post Getting Ready for The Studio! Next post Viva Rock De Mayo 2013!